How to Play WMV Files? Windows Media Video or WMV as they call it is a compressed video format that is used for internet streaming. This format was developed by Microsoft. Actually, a lot of movies and videos that you can find online are in this format. However, there are times where in you cannot play them on your computer unless you have a WMV player to use. Worse is that if you are a Mac user, you really cannot play WMV files. In that scenario, you will need to convert it first and then enjoy watching on your computer. To do that, you may refer to the tools that follow. How to convert and play WMV files? 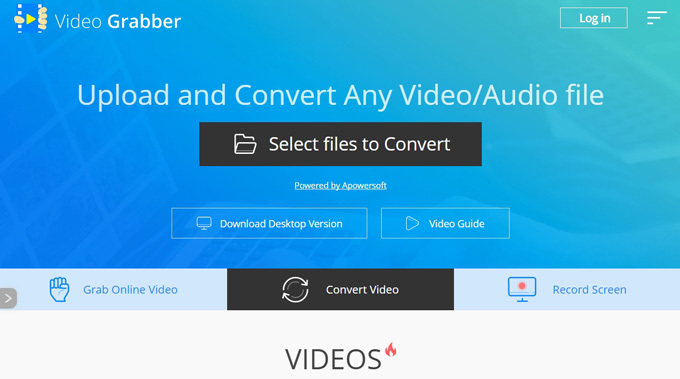 Video Grabber is an online app that is designed to help you download video files from the internet. Aside from that, it also functions as a converter as it can convert any file from one format to another. 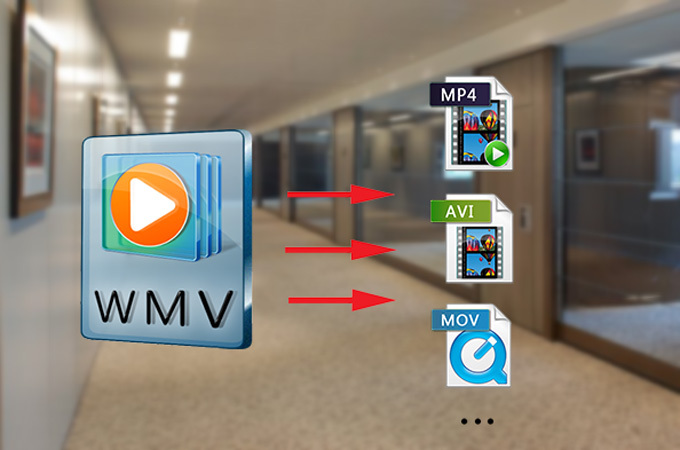 Actually, you may download the WMV file using it and directly save it as MP4 or you may just get the WMV file on your computer and then convert it using its converting function. Here are the steps on how to play WMV files using it. Click the “Convert Video” tab and then click “Choose files to convert” to add the WMV file that you will convert. Wait for the tool to be launched and select the file to convert. Once the file is uploaded on the tool, choose the “Format” that you will use. Click the “Convert” button to convert and save the file on your computer. In case you want a desktop app, you can use this tool. 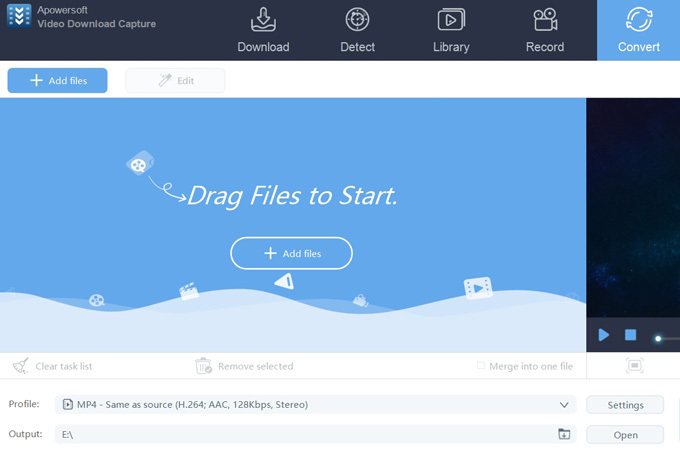 This is also a video downloading application which enables users to download videos by just copying and pasting the URL of the video on its interface. In fact, you may download different files at once. Furthermore, it has the function of converting a file. You may convert WMV files into another format in order for you to watch it on your PC. Actually, it supports various audio and video formats. Below are the steps on how you can use it. Launch the app and then click on “Add Files” button so that you may add the file that you will convert. Aside from that, you may just drag the file from your computer to its interface to add it. Once added, drop down “Profile” and then choose your desired output format. Click “Convert’ to convert and save the file on your computer. Note: You may now enjoy watching your movie on your computer. Apart from that, this tool can also detect videos that are being played online. All you need to do is activate its detector. Moreover, you may also record the screen of your computer if you wish to. At some point, you may just want to download media players which can be used to play WMV files. Therefore, the tools below are suggested for you. VLC is a free WMV player. It plays most multimedia files that is why it is very popular to users. Aside from that, this app runs on all platforms such as Mac, Linux, Windows, iOS, and Android. Moreover, the good thing about this tool is that it has no annoying ads that appear when you play such video file. Divx is a universal player. It is an award winning software because of its very helpful functions. It can play any kind of video files while giving you a lot of advanced control on your file. However, you can only use its full features if you pay for it. Another WMV file player is JWPlayer. 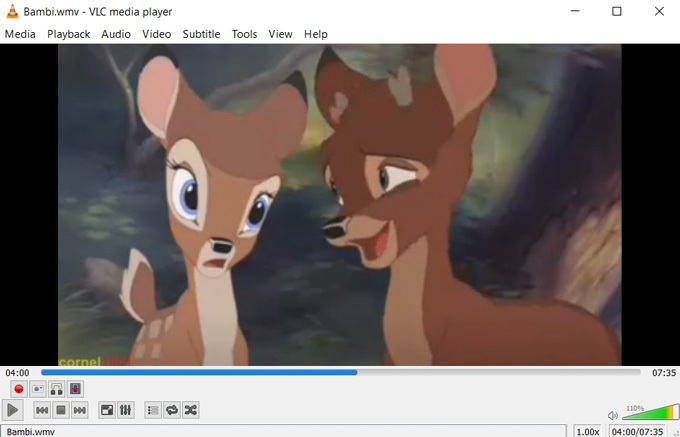 If you are looking for an online video player, then this is the best one for you to use. This tool can let you embed a video online and then from there you may watch it. Of course, with this tool, you will need a WiFi connection. In fact, videos start quickly and smoothly when you use this app. Aside from that, you may also customize the player’s interface if you want to. Those are the methods and players that you can use to play WMV file on PC. Media players are great but they just function as one (they just play the video). Unlike if you use the Video Grabber or the Video Download Capture, you can actually use their other features on some other import time and scenario.